Perhaps one of the most excellent way for adventure enthusiasts to connect with Mother Nature is by spending the nights in the woods, through camping. However, we believe many campers have struggled to have a good night sleep in the wilderness. Therefore, a mandatory "asset" that you should invest in - a good sleeping pad to provide you the comfort. Looking for the best sleeping pad for camping has never been an easy task, with so many brands on the market and lots of factors to look out for. That's why we have listed down our top 10 sleeping pads in this article which we think can be helpful for you in choosing your ideal sleeping pad. If you are looking for a solution for your winter camping adventures, then you got one in Therm-a-Rest. It has an extra layer meant for warmth between the sleeping bag and the ground. Its diagonal-cut foam gives more warmth while its lightweight makes it easy for packing. Manufactured by Cascade Designs Inc., it can self-inflate itself which makes providing firmer support easier. It is perfect for excursions in the alpines and skis touring. It comes in 3 different sizes, some repair kit, and a lifetime warranty. Sea to Summit Comfort Plus Insulated Mat is usually insulated with Exkin platinum and Thermolite. Exkin is a kind of metalized fabric layer of the pad making it silent. Thermolite HL-1 is usually constructed with solid fibers and a hollow core making it very light and durable. 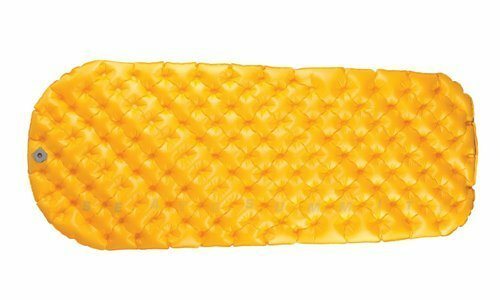 Ultralight insulated mat – It has 181 air sprung cells, measures 6 ft. x 21.5 inches and its thickness is 2 inches. Its weight is 480 grams. You can now enjoy comfort away from home by having AmazonBasics Self-Inflating Air Pad. It has an insulating layer for warmth. It comes along with handy repair kits, compression straps, and a stuff sack so that you can carry it comfortably. It can easily inflate itself fast, and when rolled up it deflates itself. Besides its ease of portability, packing, and comfort, it has cushioning support which makes your neck more comfortable. It’s an abrasion-resistant sleeping pad that will give you enough comfort. 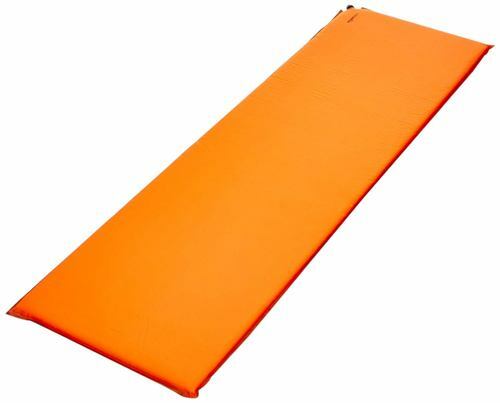 This sleeping mat is primarily for three seasons: camping, mountaineering, and backpacking. The mattress offers enough warmth because of its padded layer. It is made using ThermaCapture technology which harbors heat within the mat because of its reflective nature. Its triangular Core Matrix prevents heat loss when you are sleeping. It is ideal during summer, fall, and spring while its 2.5-inches thickness will give you the comfort in the woods. You don’t have to inflate it for long; within 2 minutes the sleeping mat will be well-inflated. Its innovative tapered designs and other materials make it light to carry. It comes in 3 sizes along with repair kits. You now have your camping partner of all-seasons in your backcountry. Klymit Insulated Static V is engulfed with a Body Mapping Technology which is developed in V-shaped design and enhanced comfort. It is a great sleeping pad for stomach, side, and back sleepers. Its side rails make this pad secure and very comfortable especially by positioning yourself in the center and enabling turning. Insulated Static V – It measures 72 x 23 x 2.5 inches, weighing 25oz with 10-15 breaths. Whether it is car camping, field work or base camp, Exped MegaMat Duo 10 is there to ensure your comfort needs. This expedition equipment features 3D mats technology, especially at the edge. The Oeko-Tex materials are free from any chemicals. It is specifically designed to serve in all seasons from winter to summer, spring to autumn. Exped MegaMat Duo 10 has an excellent base making it the best camping mattress for couples. It keeps them comfortable and warm throughout the night. Its 3.9 inches thickness ensures you don't wake with painful back and ribs. 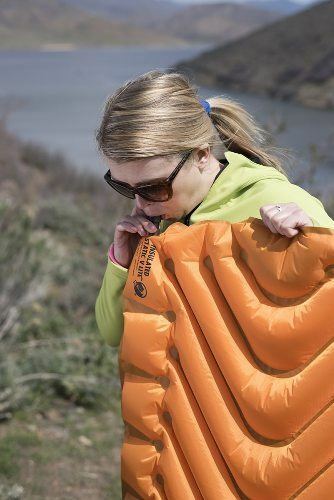 It has a mini pump that inflates the mat within a few minutes while saving your breath. It is known for its comfort and lightness. 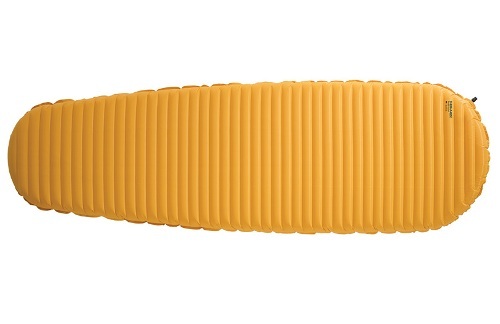 This Big Agnes sleeping pad is well designed with thru-hikers, technical gears, and gram counters to ensure it serves you best in three seasons. It is made of nylon rip-stop that ensures the mat is stable and comfortable. It has PrimaLoft Silver insulation which makes sure you are warm throughout the night. This insulation works effectively with heat reflective barrier to strike a balance even when temperatures drop. Its size and weight will enable you to save your space when packing. It is available in rectangular shapes in mummy and classic model. For its durability, it has aviation grade TPU lamination technology. It also uses a two-way valve which enables the user to inflate or deflate it faster. You now have your winter companion which will ensure you have the full comfort that you need in your adventure. Exped SynMat 7 is an award-winning mat characterized by durability, compactness and its outstanding design. It is ideal for car camping, hiking, and mountaineering. It is well laminated on the top and bottom to ensure it maintains heat. It is 2.8 inches thick, which ensures you get the full comfort. Being insulated with Texped microfiber insulation Exped SynMat 7 keeps you warm for winter. Polyester is at the top while TPU laminate is at the bottom. It is honeycomb embossed on its top. You can save your breath because it inflates very fast because of its intuitive design. 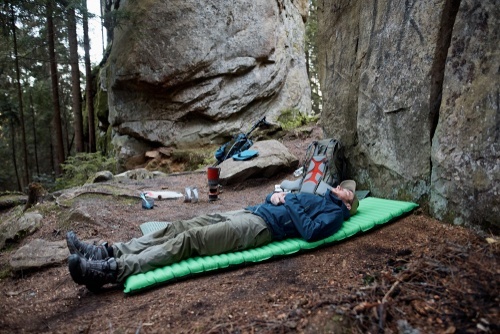 With a comfortable sleeping mat like Klymit Insulated Static V LITE 4, you will be sure to have enough sleeping area. The valve is secure and simple, making inflation fast in the ten breaths and deflates the map quickly too. The anti-microbial laminate prevents the microorganism growth which may cause odors. It uses body mapping technology which is featured by the V-shaped design that offers maximum support and comfort. It is a great mat for the side, stomach, and back sleepers. The side rails keep you at the center and prevent air movement when you are turning. If you don’t want to sacrifice comfort for weight, then Sea to Summit Ultralight is another perfect choice for you. Its Air Sprung Cell technology makes it easy to be packed and light. It is quick to inflate using the Airstream Pumpsack; with only 2-3 cycles, the mat will be filled. As you may have seen, sleeping pads for camping come in different types, colors, prices, and sizes. There are various options you can choose from depending on your preferences. 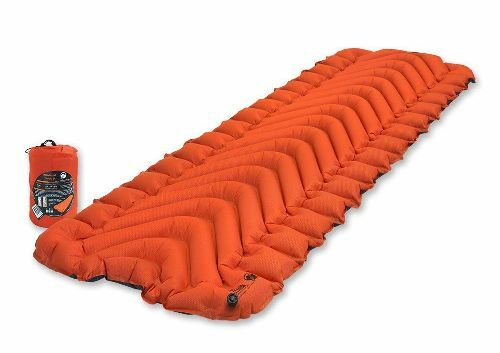 From the above ten best sleeping pads for camping, you can come up with the ultimate pad you need in your woods adventure. Depending on the type of camping, the weight of the sleeping pad is very critical. 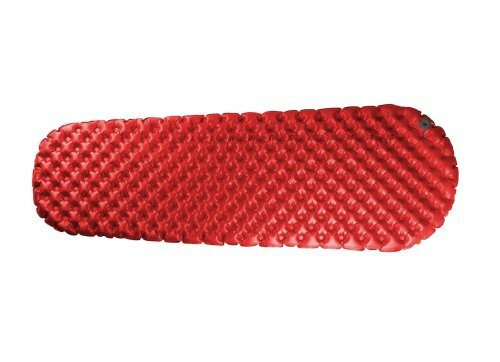 If you do a lot of walking before reaching your destination, you need an ultralight foam sleeping pad like air pads. On the other hand, if you will drive right to your destination, you can decide to carry a memory foam camping mattress. People like sleeping with their back, stomach or their side. There are pads specifically designed for back sleepers. You need to choose the one that suits your style. Foam pads are more stable but bulky while air pads are bouncy. Depending on your body size, select a sleeping pad that has the right dimensions. Don't purchase a short sleeping pad that will force you to add extra clothes to support your legs. Hence, it is essential to have the measurements before buying. 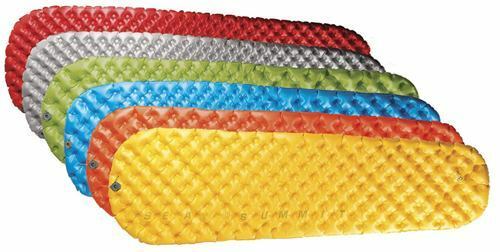 Various sleeping pads for camping have integrated technology that makes the cushioning styles different. Consider the curves like V-shaped that will be comfortable on your back, stomach, and side. The pattern is mostly determined by the material used in making the pad. Avoid a pad that will make you slide when you’re sleeping. Also, consider the noise being produced when one is turning. Avoid a sleeping pad that is noisy. The budget should not be ignored as you don’t want something that will drain your bucks in a single trip. One of the least costing sleeping pads is Therm-A-Rest. Despite being a little bulky, it offers enough comfort for any adventurer. It is good to note that, best sleeping pads are not cheap, so you need to be prepared to dig deeper into your pocket if you need an excellent sleeping pad. Also, their prices are attached to their durability and material used in making them. Of course, you don’t want something that will tear off after some days or months of camping. This is where you check at the material that has been used in making the sleeping pad. Most of the above sleeping pads are made of 40D nylon fabric, polyester material, TPU Laminated, honeycombed embossed and insulated. It is also good to note that, the storage and general maintenance of the pad will play a role in their durability. Certain sleeping pads are specifically designed for couples or multiple people. 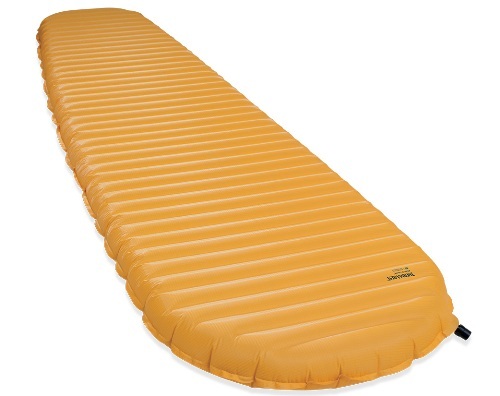 A sleeping pad like Exped MegaMat Duo 10 is a great one for couples. Others like Exped SynMat 7 are great for big guys and heavyweights. If your sleeping pad is not designed to handle multiple people, avoid using it for a group of people. Otherwise, it may start leaking, and it will be a waste. 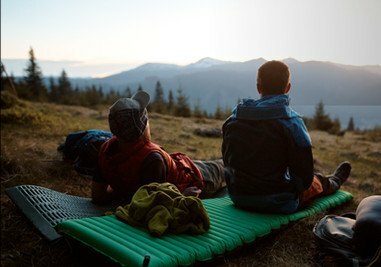 Get the best sleeping pad for overweight if you want maximum comfort in the woods. Although it can be viewed as a usual thing, don't buy a pad that doesn't have a warranty. 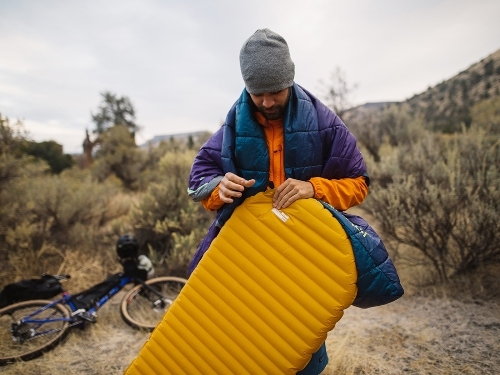 Most of the above sleeping pads have a limited lifetime warranty while others have five years. This will avoid the stress of getting a replacement in case your pad gets a puncture or destroyed before the warranty is expired. 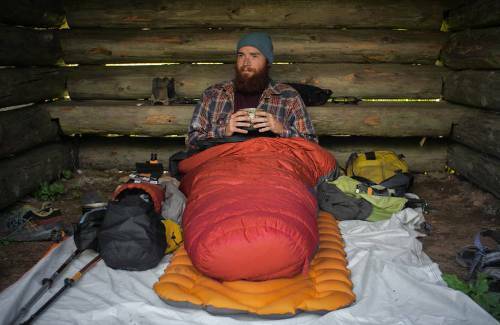 The essence of owning the best sleeping pad for camping is to give you comfort during your adventure. It will help you avoid bad backs, sides and painful muscles because of the poor sleeping ground. 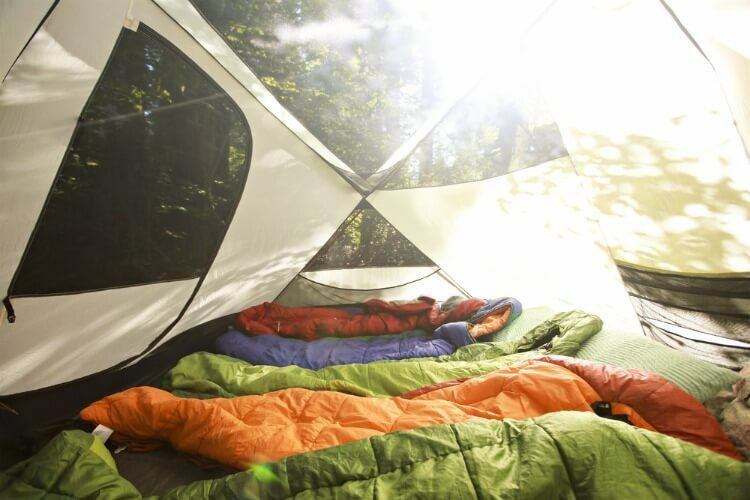 The best camping mattress for bad back ensures you get the comfort you need on your back. 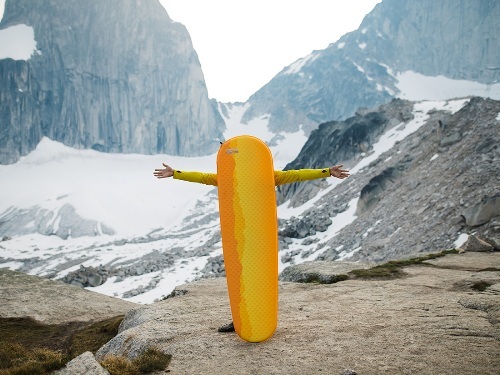 If you are doing mountaineering hiking, you need a sleeping pad that is thick enough to help you to avoid the effect of the hard rocks on your body. Having gained some thorough understanding of what to look out for when buying the best sleeping pad for camping, you can now avoid falling into the traps of appearance. That’s why it is good to read through the comments and reviews of the other customers to know the ups and downs of a specific pad. 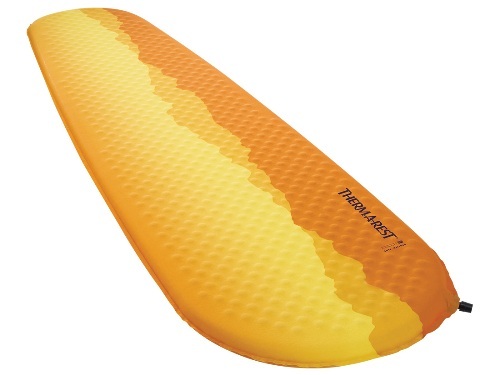 From the above sleeping pads, we would recommend the NeoAir XLite mattress from Therm-a-Rest as the best camping pad. This is due to its considerable price, its flexibility of usage in the three seasons, its comfort, the warmth it provides, its lightweight, and durability. We give it 4.8 out of the possible five stars.